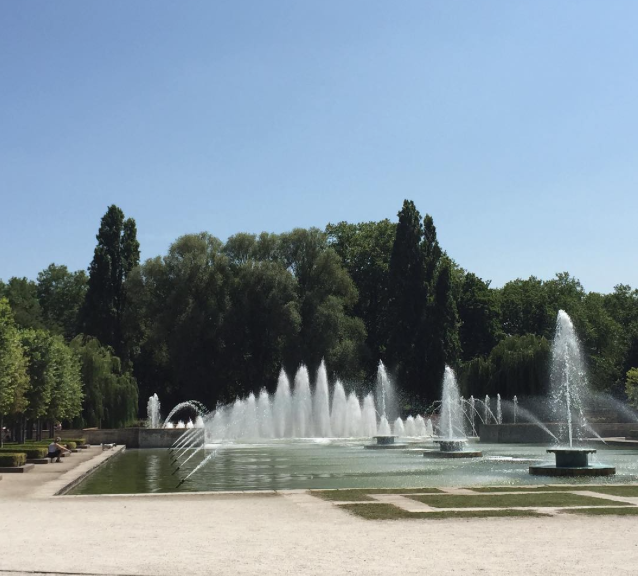 Where to read: Ideally by the French Riviera but if getting there isn’t logistically possible a quiet corner of a park – I chose Battersea Park on a bench near the water fountains one sunny day and happily whiled away a very pleasant few hours reading. Where to buy: Belgravia Bookshop – I’m not on commission I promise I just simply love everything about this bookshop -location, atmosphere and of course the titles it sells- a real haven for book lovers. Refreshments: I was in the park so didn’t have much at my disposal aside from my packed lunch which was an Ottolenghi recipe of chicken and couscous salad which isn’t exceptionally French. However, I did finish the final pages sat on my tiny balcony drinking a dry gin martini (with Tanqueray No’10 which was rather delightful -and perhaps more refined! The French Riviera: home to the Beautiful People. And none are more beautiful than Cecile, a precocious seventeen-year-old, and her father Raymond, a vivacious libertine. Charming, decadent and irresponsible, the golden-skinned duo are dedicated to a life of free love, fast cars and hedonistic pleasures. But then, one long, hot summer Raymond decides to marry, and Cecile and her lover Cyril feel compelled to take a hand in his amours, with tragic consequences. 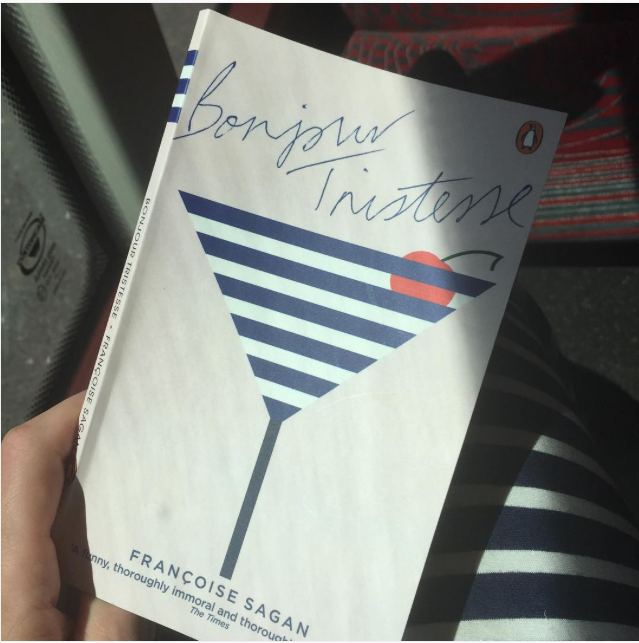 “Bonjour Tristesse” scandalized 1950s France with its portrayal of teenager terrible Cecile, a heroine who rejects conventional notions of love, marriage and responsibility to choose her own sexual freedom. Cecile is our narrator for the heady three months of summer spent in a villa on the Riviera. Vibrant, manipulative and conflicted in her every waking thought and action she epitomizes the confusion of a woman emerging into adulthood and one whose equilibrium is upset by an outsider. Her father Raymond is a romantic and has his head turned by the swish of a skirt and a teasing smile the thought of growing old and domesticated is both appalling and appealing. I quickly fell in love with both of their characters and was drawn into the swirling vortex of their superficial lives and captivating beauty – one that caught anyone within a mile radius and swept them away so they forgot themselves and their lives before Raymond and Cecile. Remarkable and aloof, Anne, entangles herself into their lives and attempts to adapt them to a life both decent and bourgeois. She is depicted as being acerbic and condescending but in actuality is trying to find her footing in a game that is being played with rules she doesn’t understand. Sagan weaves these individuals lives with aplomb and the descriptions and detail of Cecile’s inner turmoil is simply stunning. A novella that will fit in your back pocket, handbag or simply your hand as you stroll off to the park I would recommend reading this to everyone -it’s a triumph and just so…French.